IT’S LIKE AN ENTIRE PAYROLL DEPARTMENT, RIGHT IN YOUR POCKET. TOOLS YOU'LL LOVE AND USE EVERYDAY. Data collection is the ?rst step in your time & attendance process, this critical step must be accurate and easy to use for your employees. We offer employee time clocks with ?ngerprint, proximity cardpin entry, PC and even mobile clock in with geographical locations. 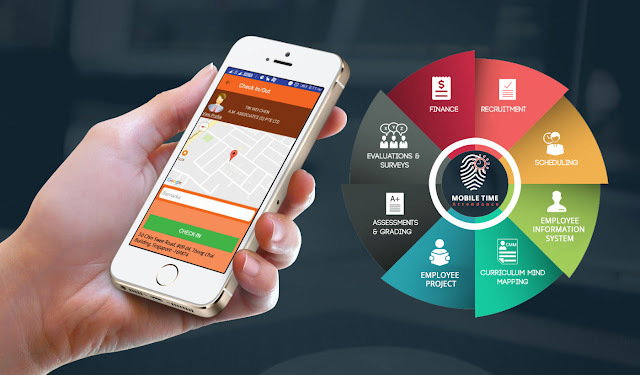 Mobile Clocking reporting solutions empower you with informed real time decision making capabilities so you can easily convert data into actionable, valuable information.